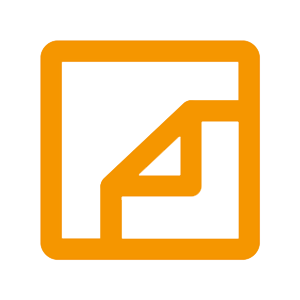 eFax is an online fax service that allows users to send and receive faxes by email using a computer, tablet or mobile device. It features a free mobile app, electronic signatures, toll-free numbers, and more. In this article, we cover user reviews and pricing. Ready to try eFax? Contact their support team for more information. Users who gave eFax a positive review like that they can securely send and receive faxed documents from anywhere and at any time. They also commended its customer support team for always providing a fast response. 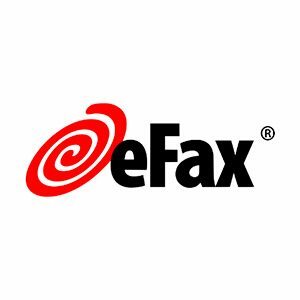 Users who gave eFax a negative review complained that the software sometimes works slow and fails to send faxes. They are also unhappy with the file or page size limits on faxes sent through their API. eFax has three paid subscription options: eFax Plus ($16.95/month), eFax Pro ($19.95/month), and eFax Corporate (custom priced). The main difference between the plans is the number of pages a user can send and receive per month. 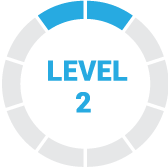 The Plus and Pro plan require a $10 initial setup fee. Ready to try out eFax? Contact their support team for more information. Best Online Fax Service – Free and Paid Options — An online fax service allows you to send and receive faxes from your computer or smartphone. In this guide, we compared 3 of the best online fax services: RingCentral Fax, Nextiva vFax, and HelloFax. We also uncovered the best free fax services for sending/receiving occasional faxes. How long can a user store received fax? eFax can keep a user’s received faxes for up to two years unless the user deletes them. What file formats are supported by eFax? Users can choose to send faxes on PDF, EFX, and TIFF formats. PDF formats can be viewed using the Adobe Acrobat Reader software, EFX files can be viewed through the eFax Messenger software, while TIFF supports multi-page images and can be viewed in many different programs. Not sure if eFax is the right fit for you? Read our reviews of all top online fax software providers or check out one of these three eFax competitors. Yeah do not use this company they are a scam. Immediately called in to cancel my trial cause I knew I would only be using the service once. Didn’t think about it again until I kept getting marketing emails – emailed customer service to confirm my account cancellation. The reply that they don’t process cancellations via email only on chat or phone was put in my spam folder so I never saw it. Then the charge came in. Spoke to chat that I had twice cancelled my account and it still hadn’t been cancelled . They said they didn’t process refunds via chat and I’d need to call and speak to a manager, but that they had cancelled my account. Went to get my fax number in order to call and speak to a manager a few days later … THE ACCOUNT WAS STILL NOT CANCELLED! I was then told the company policy is to not issue refunds – aka we’ll keep forgetting to cancel your trial and charge you and then we have a policy to not offer any solution to you! They offered an account credit which I declined because I never send faxes- this was a one time out of the ordinary need! I just want it cancelled! and I was not allowed to speak to a manager after I asked for one. SCAM SCAM SCAM. It has a great ease of configuration, ease of use and the ability to receive a fax anywhere and at any time. They also have mobile applications, it is very ingenious and assertive. The “free trial” is a joke. Do not waste time if you are going to register, just to send a quick fax, thinking that you will cancel before the free trial ends. They will take money in one way or another. Keep that number waiting for the line of dispute of your credit card. At first it was free and now requires payment. eFax interacts with third-party cloud storage. eFax collects cookies and the identification of session cookies per user and your computer. The most important thing for me about this software is the contact list. I use efax corporate in my laboratory to send results to our clients and my contact list is extensive, but efax can handle all the more than 100 stored contacts. The performance for us is very slow. I do not know if this is due to the implementation of the encryption or what, but the faxes are loaded slowly in different browsers and from different PCs. He is not a murderer, but annoying. Way at a reasonable price to adopt a secure fax solution based on the cloud. Securely access incoming and outgoing faxes from any device with a browser. Automatic electronic file of communications by fax. The experience is pleasant enough, we like to be able to enjoy a limited program whose quality reaches excellence due to the characteristics with which it is formed. We have found some of its characteristics somewhat incomplete, sometimes work great for any job but at other times we think that we need an improvement. The data we had from the program was enough to not know something after obtaining it. Until now, it is one of the best ones that has worked for us. 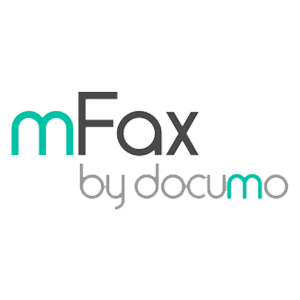 I mostly like that eFax eliminates the need for me to use a standard fax machine for faxing documents. I can also avoid having to spend money on paper and ink. Keeping track of faxes is easy with eFax’s fax archive. My faxes are stored in my eFax account for future access, downloading and printing. The controls and functionality of eFax are relatively simple. I can send through various methods including the eFax website, app or email. Signing faxes is also easier with eFax’s electronic signing feature. I think eFax’s sending and receiving limits are a bit low for the price. I’ve seen other similar faxing services out there that offer much higher limits or have unlimited plans. Also, an eFax electronic signature isn’t accepted by all vendors and business partners, so I’ll sometimes have to manually sign documents, which can be a hassle.